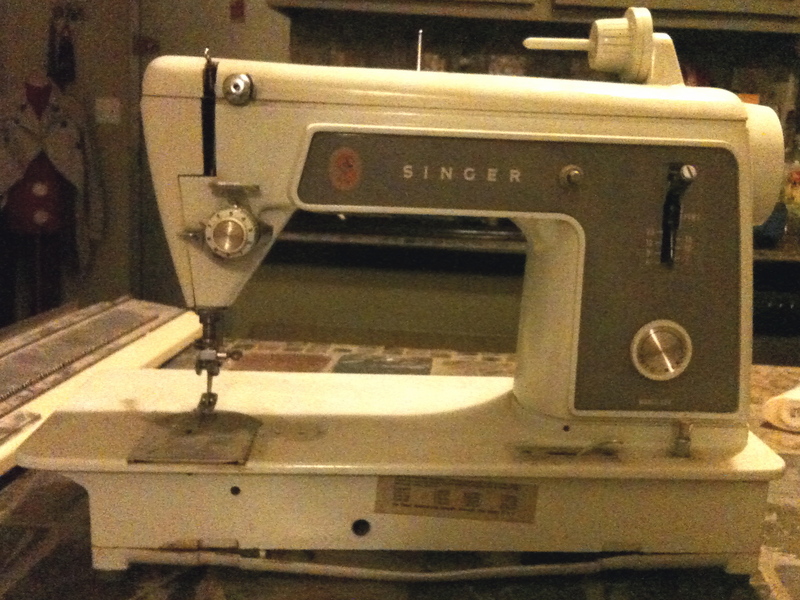 A Singer Model 604 sewing machine, which I think was manufactured in the 1960s. Both machines are missing parts- the sewing machine is missing its power cord, which would be fairly easy to replace, but it may have other issues. 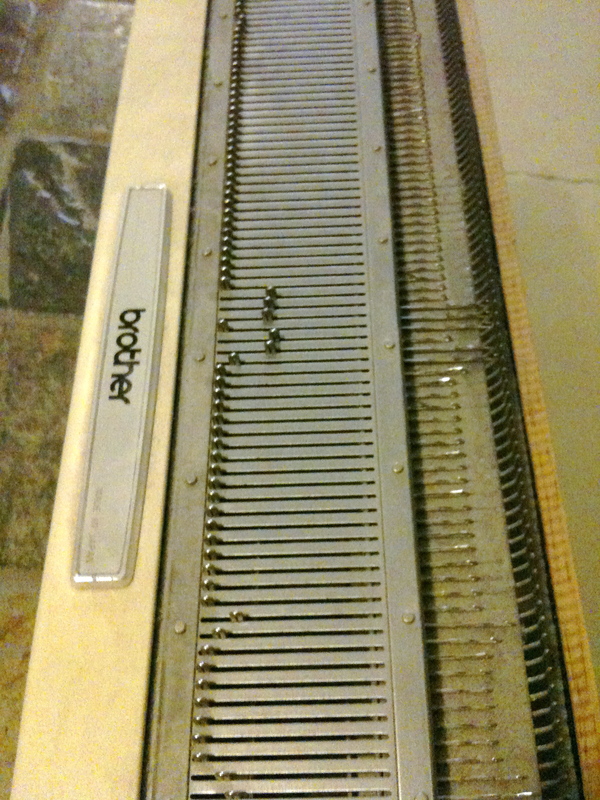 The knitting machine is missing the piece that sits on top and passes back and forth, running the yarn over the hooks. I’m not sure what I’ll do with these- they might even end up back in the construction bin if it seems like too big of a task to get them working again…. but for now its fun having them around to look at and think about all the knitting that used to go on in this building! And speaking of knitting within these walls… Back when I was knitting the decreases for the v-neck on my cardigan while also doing the raglan shoulder decreases, I was worried that I was decreasing all of my stitches on the front sides of the sweater away, so I decided to eliminate the last four v-neck decreases. 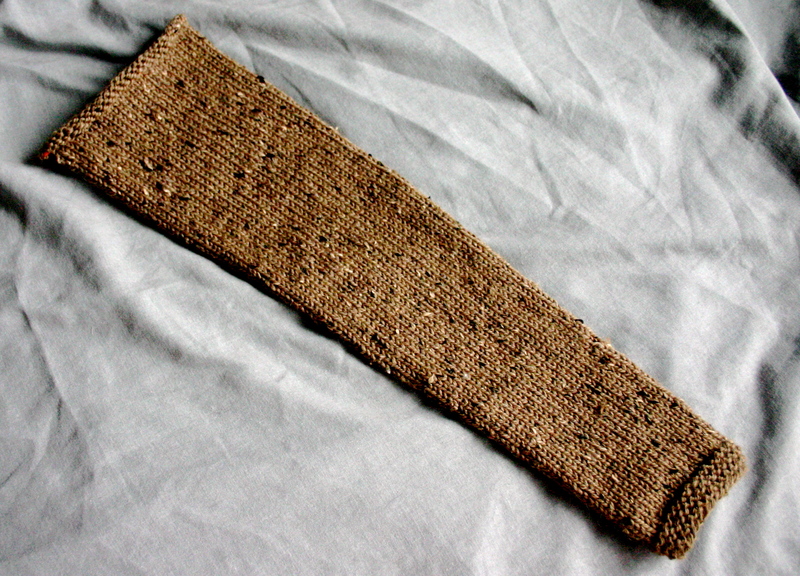 This left about six stitches on each of the fronts. 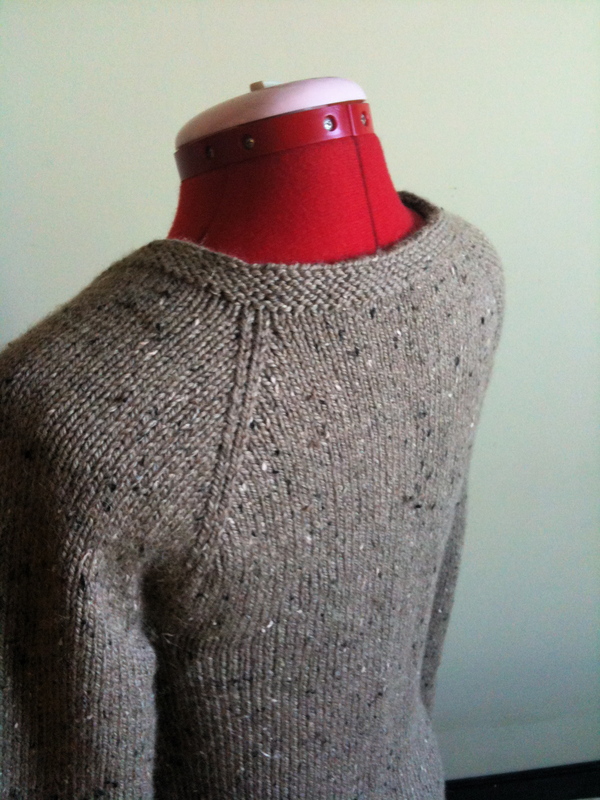 Now that I’ve gotten the button/neck band knitted on, I see my error– those extra stitches ruin the smooth v-neck to back collar transition. See what I mean? 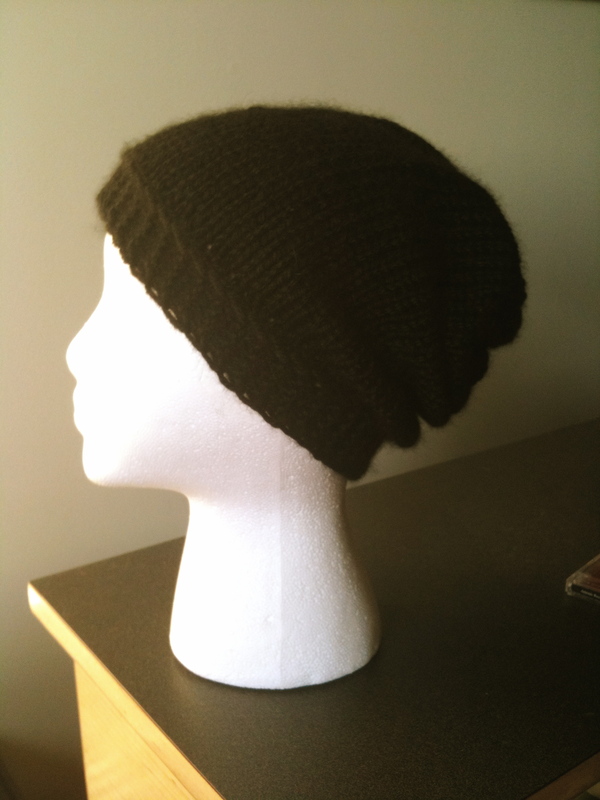 I realize it’s not terrible, and that’s why I kept knitting when I first realized the mistake- because I thought it was something I could live with. 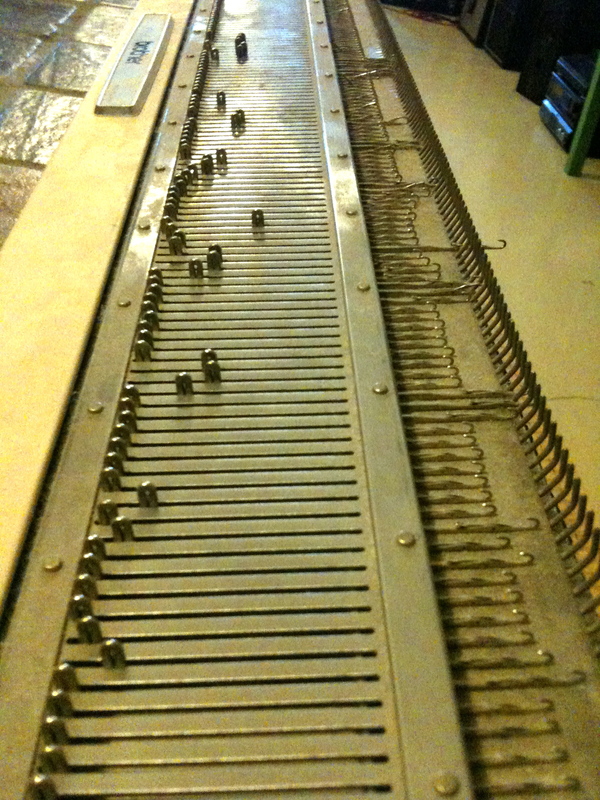 But now that I’m only inches away from being done I know I need to go back because it will bother me too much. 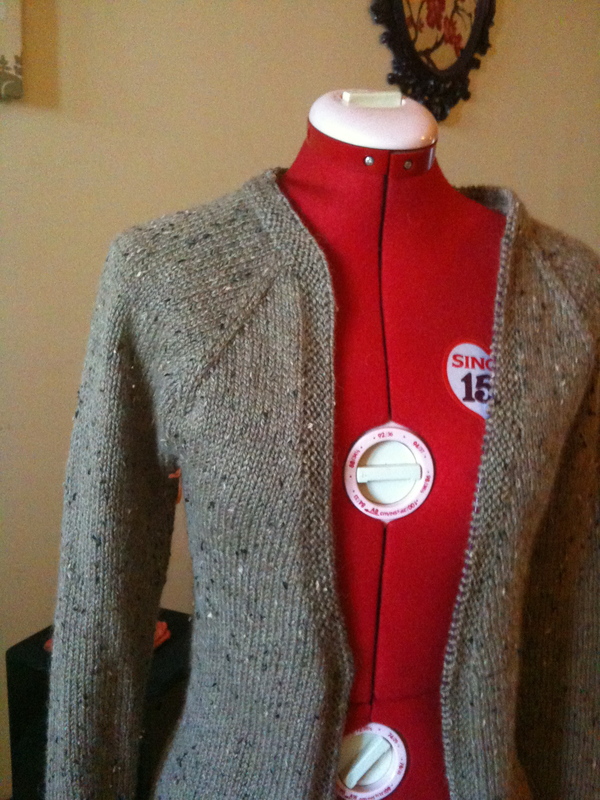 So I’m about to start ripping back- ripping back the button band and the top few inches of the sweater. 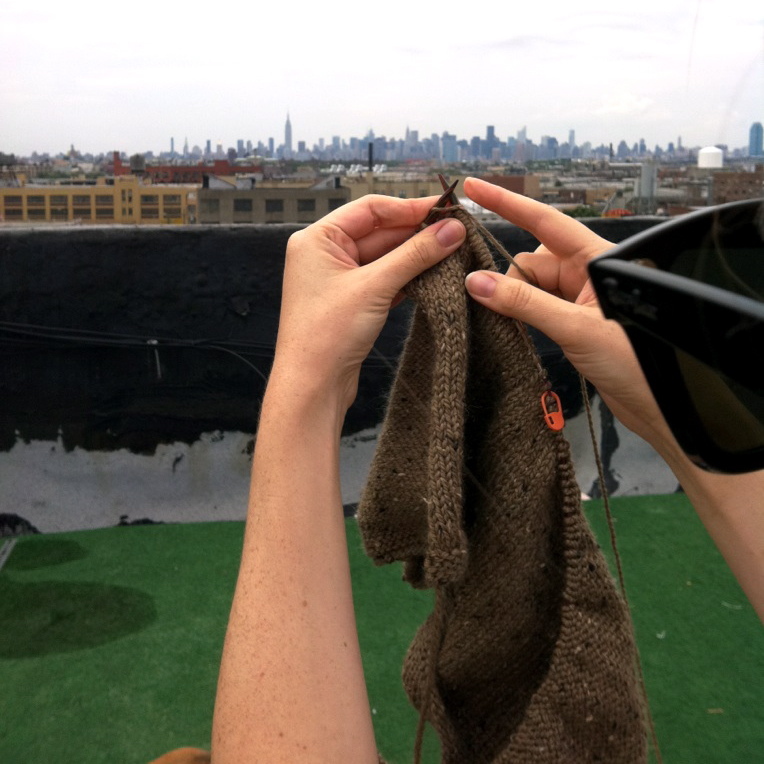 I’m not upset about it though– I wasn’t ready to be finished knitting this cardigan anyways! 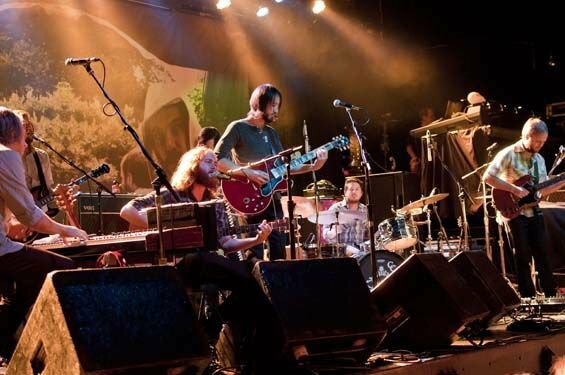 And speaking of Joey, he’s been out on tour since the end of August, playing guitar for Midlake. He’s having a wonderful time and playing some beautiful music. They played in NYC last week and I was so proud of my talented husband. 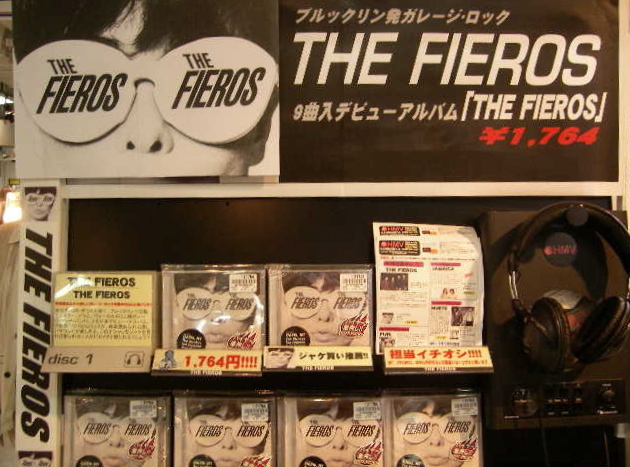 In other fun husband-music-related news, his primary project, The Fieros just recently signed a deal with a Japanese record label and their album is now being sold in stores in Japan and on Amazon Japan. He still has a lot more touring to do- they’re in North Carolina now, heading down through Tennessee and will play the Austin City Limits festival next weekend. He’ll be back in NYC for a week (which happens to be our anniversary week!) and then he’ll head out again for another three weeks in the UK. He’s going to get to go to some amazing places that I can’t even imagine getting to see- London, Paris, Dublin, Holland, Finland, Sweden, Luxembourg, Turkey… its just completely unimaginable. 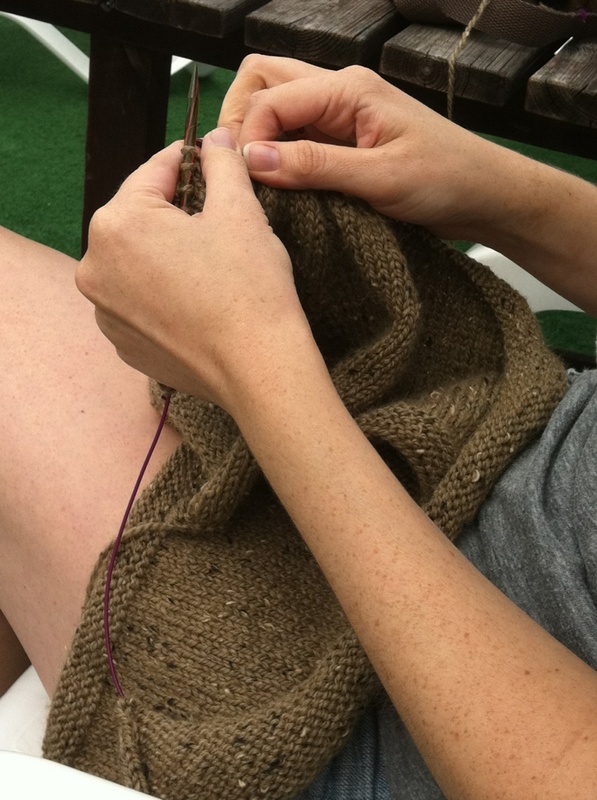 Back to the knitting…. I’ve also started a Wurstwarmer for Henry. I’m having to size this one up since Henry isn’t a tiny dachshund, but I think this one will come out pretty cute. I’m using a heathered charcoal color of Peace Fleece. I think it will be classy and sophisticated. 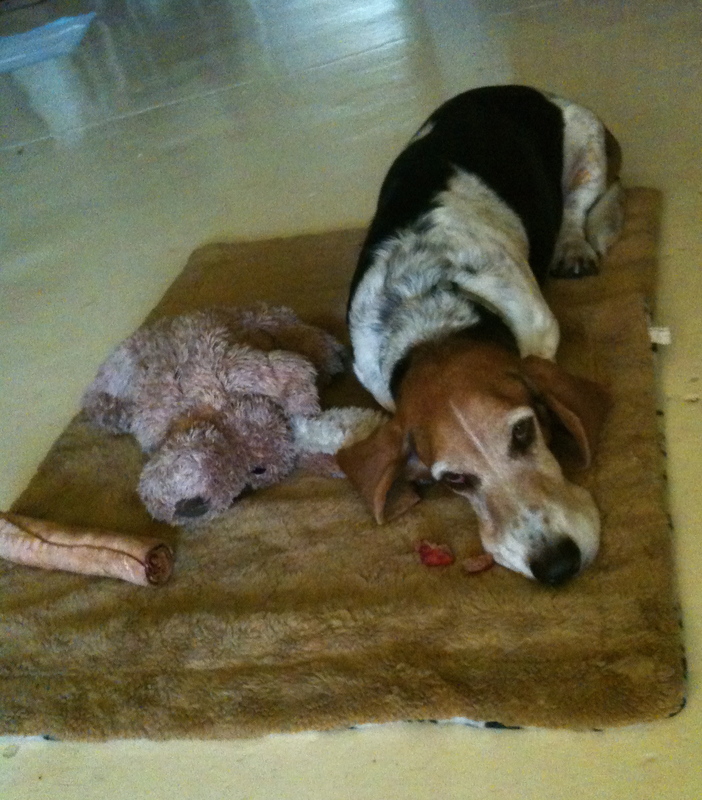 Cause we all know Henry is one sophisticated hound. 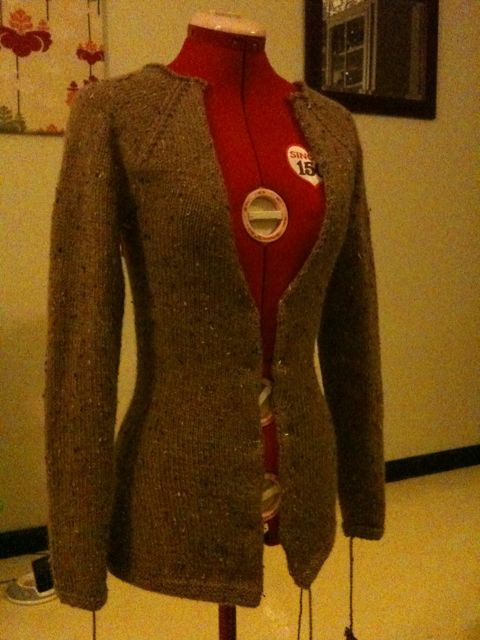 See, I told you the cardigan wasn’t suffering from a lack of interest. 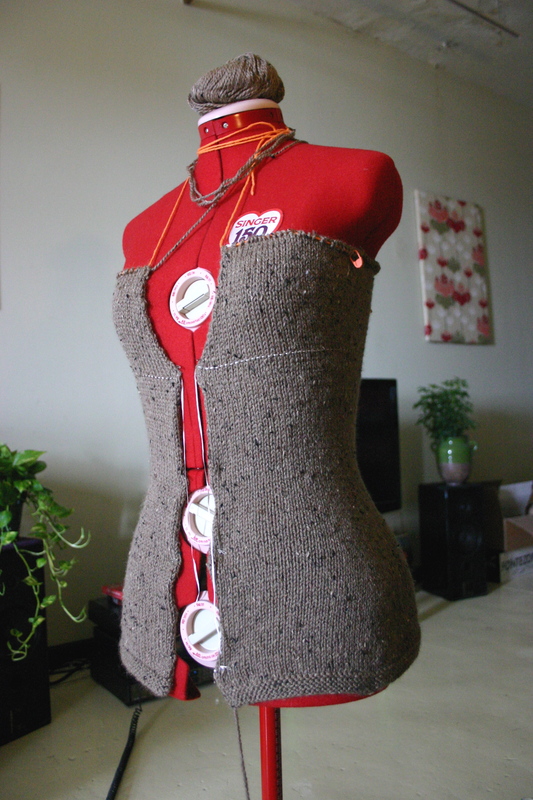 Now we’ll see if my circular needles are long enough to pick up stitches all around for the button band/neckline. 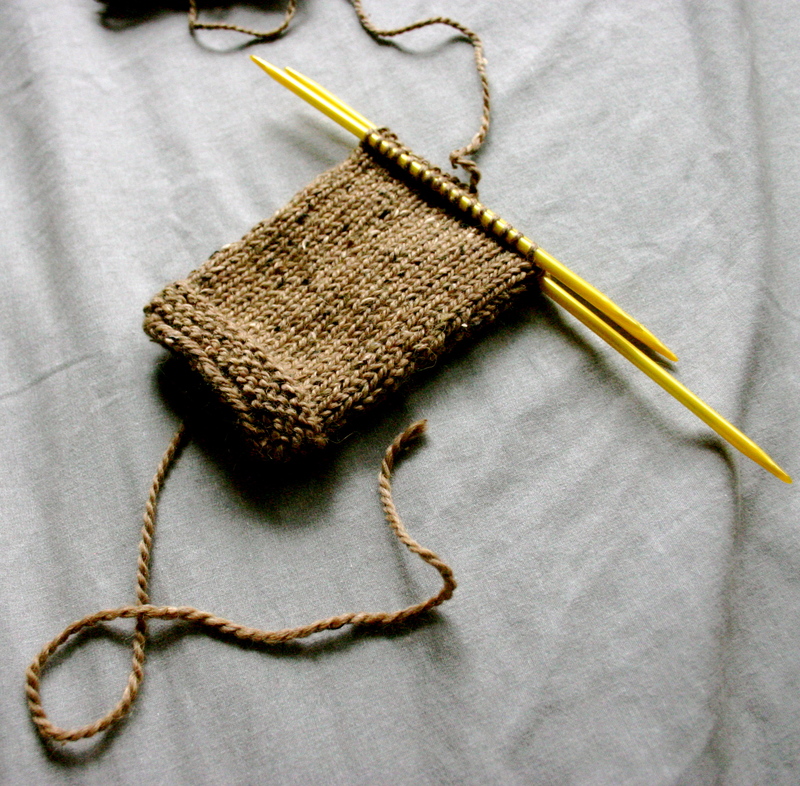 I always think sleeves should knit up super-quickly, but they never actually do. Maybe its because there are two of them? Or maybe its because this is about the time when the newness of the project has started to wear off and I start dreaming about what I’m going to knit next. Ugh, look at the plastic needles I’ve been forced to work with. I know some people probably prefer plastic needles, but I really do not enjoy their squeaky-bendy-ness and the random piece of metal inside that slides around and rattles while I knit. Their tips aren’t pointy enough, and one of them has a ragged bit of excess plastic at the tip that snags my yarn. I had thought I owned a pair of bamboo dpns in size 8, but upon searching, I was left empty-handed. I stopped by Lion Brand Studio on my way home from work the next day to pick up a pair, but they only carry size 8s in plastic. I bought them anyways, knowing I didn’t want to put my knitting on hold long enough to receive an order my favorite Harmony woodens from KnitPicks. By the way- the Lion Brand Studio is a beautiful and welcoming space, and their new LB Collection of yarns? Very nice-especially that cashmere. Where was I? Oh yes, sleeves. 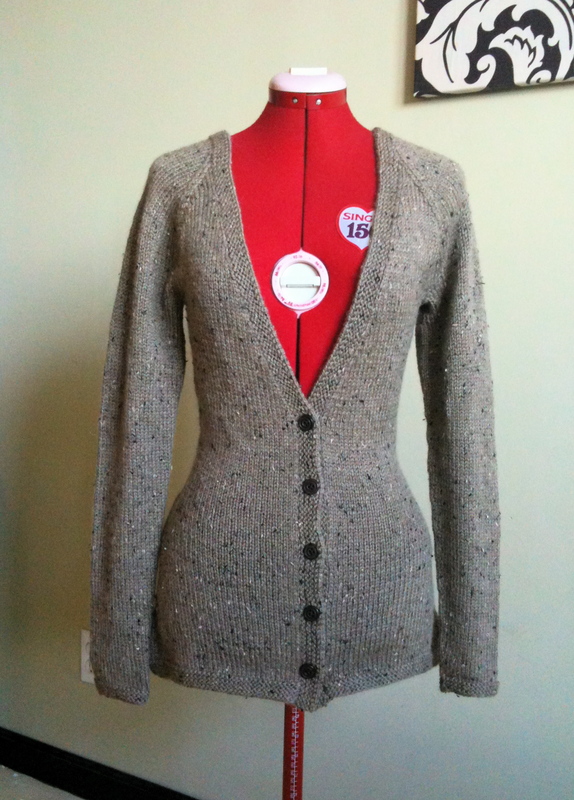 I hope to finish the second sleeve soon, so that I can wrangle everything together on one needle and knit the yoke of this cardigan. I’m ready for the fall weather! 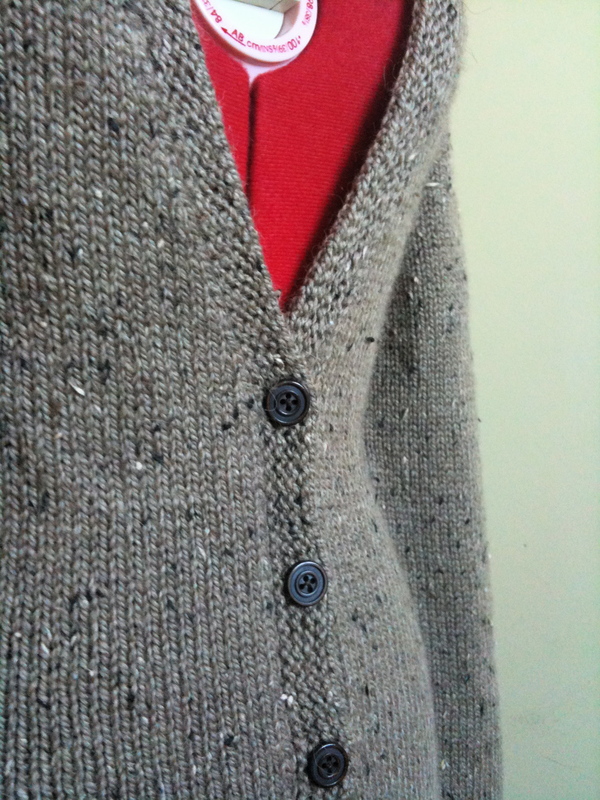 I’ve reached the underam area of my cardigan. 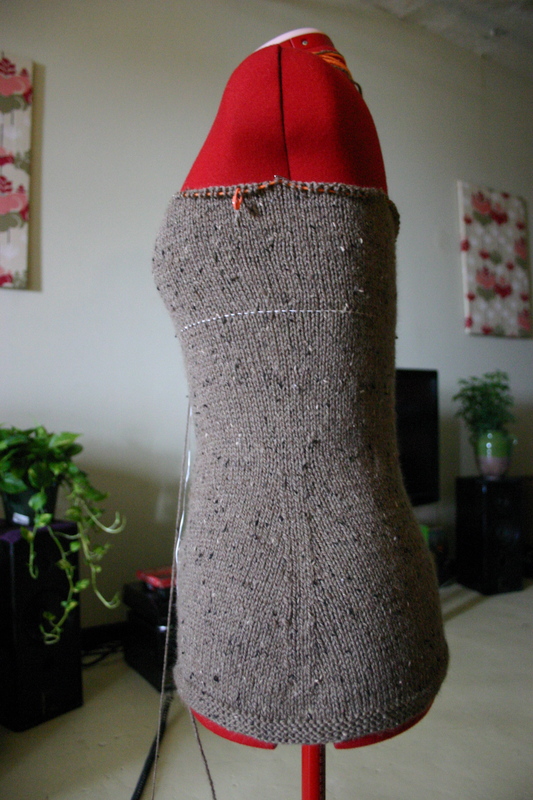 The waist shaping is complete, and I’ve just started the shaping of the v-neck. 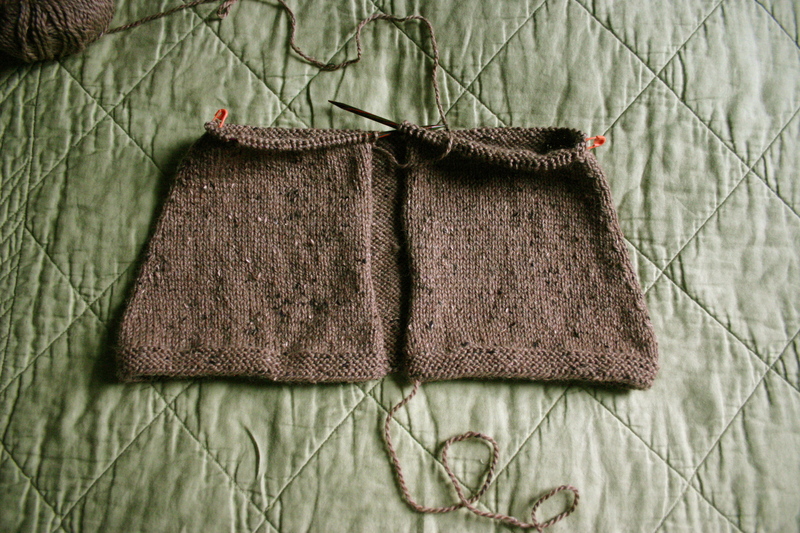 From here, I’ll start on the sleeves, and then join everything together on one needle to knit the yoke. I had to do some crazy math yesterday and felt pretty brain fried afterwards, but luckily, it’s working out pretty well so far. 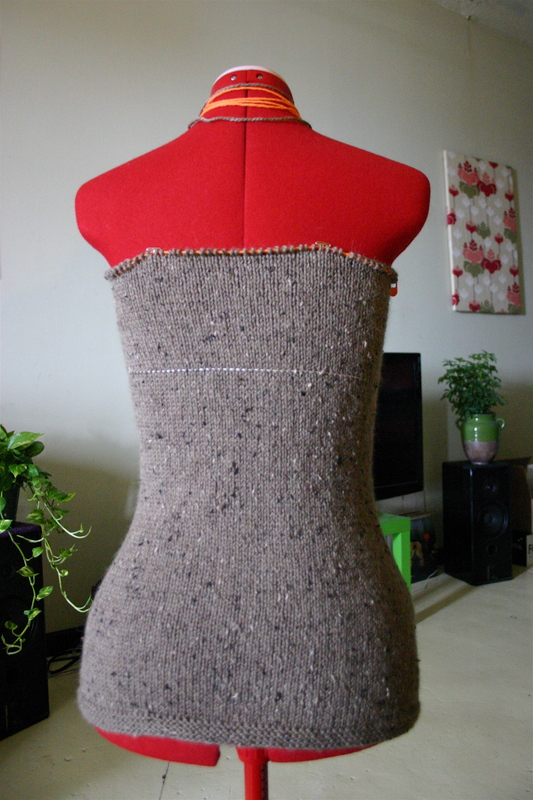 I’m almost finished with the waist decreases and will soon start the bust increases. 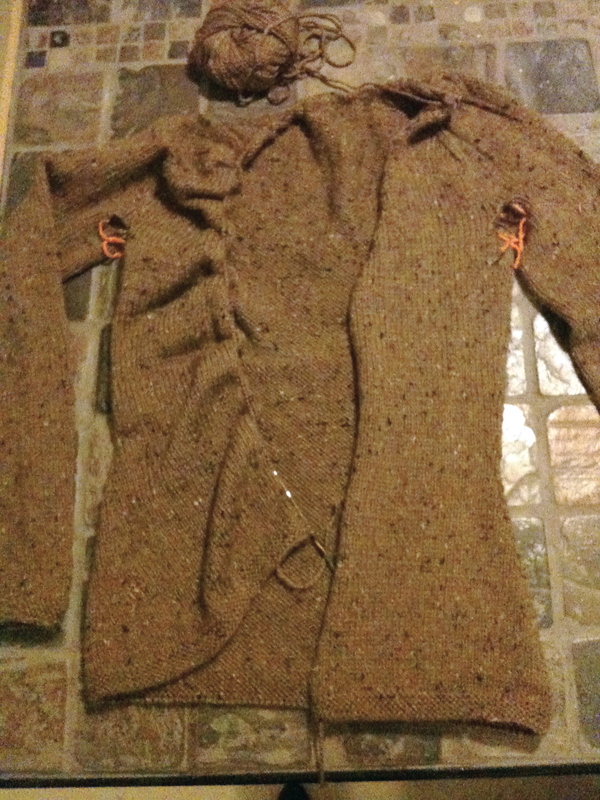 And now I’m going to spend the rest of my Sunday evening figuring out how to turn this thing into a v-neck.